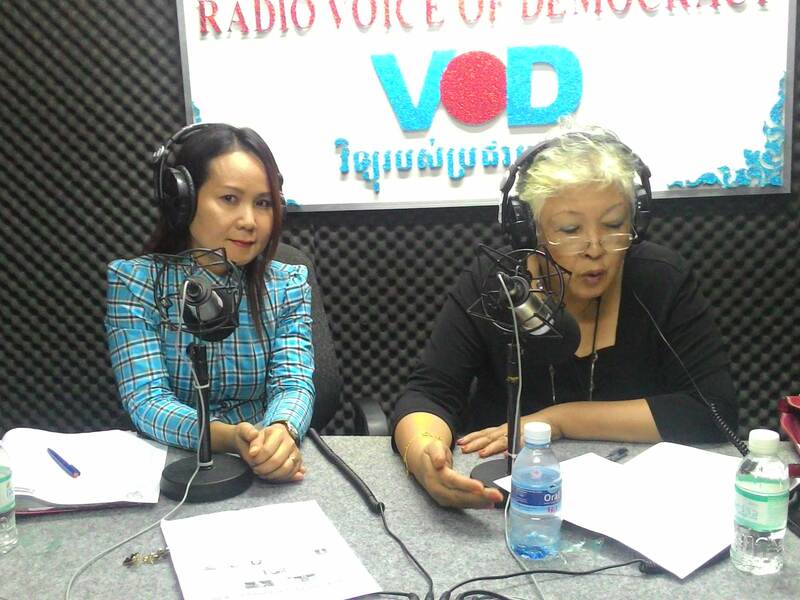 Phnom Penh – 20 May 2015, Topic: “The expectation of women with the new National Election Committee”. From left to right, guest’s speakers: Ms. Sonket Sereyleak, Education and Gender Coordinator at Comfrel and Ms. Thida Khus, Executive Director of SILAKA and the chairperson of CPWP. House 139, Street 53BT, Sagnkat Boeung Tumpun, Khan Meanchey, Phnom Penh, Cambodia. © 2019 SILAKA Organization, All Rights Reserved.